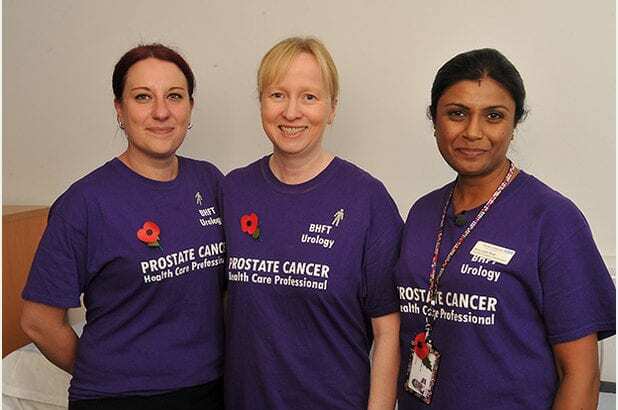 I must say that when we first thought about screening for prostate cancer working with Burton Albion Football Club that we would get any response in what is a taboo subject for many men. A few months later, I am astonished at the success of the campaign as more and more men are volunteering for screening. Since the first screening in April 2016 we have had a number of cases where cancer treatment has been required. We have had a wonderful support from the local press, Burton Mail followed by television coverage on BBC Midlands in August 2016. The stories of men who went for the screening and subsequently had to have treatment is heartwarming. On Saturday 6th November we followed with our second campaign of screening in conjunction with Burton Albion. Again Burton Mail has supported as well and the BBC One Show will be doing a feature which will give us a national profile. I would like to thank all the people who have helped with the campaign. It is working together like this that we can do great things and make positive social change.